In these days of increasing running costs for transport operators every viable option to reduce costs in areas that don’t impact on customer service and operation safety needs to be evaluated. Once the truck cab is fully fitted out with either a roof device, or full aerodynamic kit, the next area that should be assessed is the area under the truck body and/or trailer. 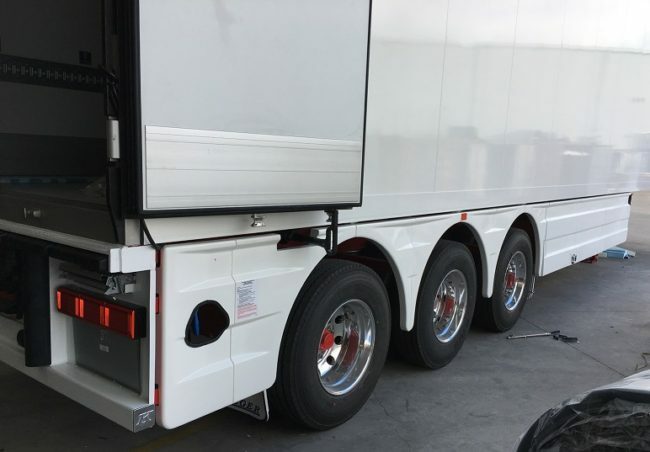 It is generally understood and now scientifically proven that the turbulence from the gap under a body or trailer can negatively impact on the economy and handling of the truck-trailer and / or rigid body combination. Exhaustive tests of under trailer skirts in the USA have consistently demonstrated fuel savings and the U.S. EPA have provided “CARB Compliance” under their “SmartWay” initiative that is only provided where a product achieves fuel efficiency gains over 5 percent. The difference between the new Fuel-Skirts from Aeroz Products and what is available in the USA, is that the American product is all about functionality with the products offered either being of dated design or simply aesthetically unpleasant. 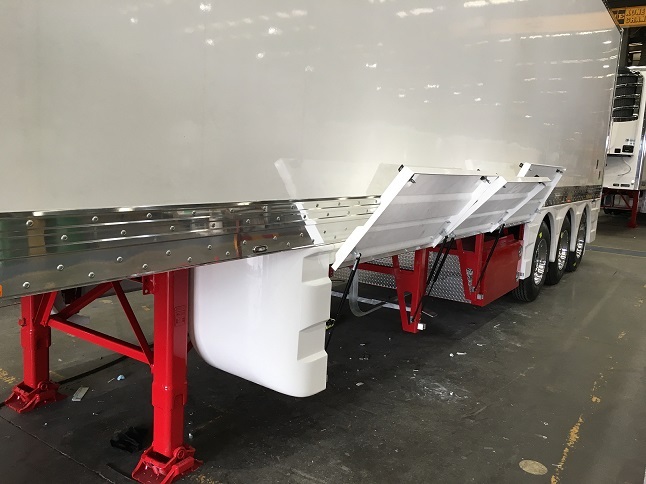 Fuel-Skirts achieve aerodynamically all required, but as with all Aeroz-products Fuel-Skirts design enhances the aesthetics of the trailer or body. The best way to ensure that an aerodynamic device works is that its strength and rigidity is able to deflect airflow rather than be deflected by the airflow and turbulence. The high quality moulded Fuel-Skirt panels are designed for minimum weight and maximum rigidity. Further to this in recognition of the application working conditions consideration has also been applied to developing a quick change system to reduce down time for repair and or replacement. By product quality and aerodynamic performance Fuel-Skirts are further evidence that to the transport industry Aeroz-Products remains the leader in all things aerodynamic.